Hi, I'm just someone who likes video games, writes some pretty bad comics for fun, and is surprisingly not a furry. 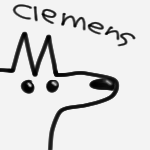 Clemens is a dog. Clemens is an awesome dog. These are the things that happens in the awesome life of Clemens. Now, in order to pay for her dolphin's funeral, Nora must make a bazillion drillion dollars. Her only hope for getting all that cashola is to popularize her slowly dying theme park. Will Nora be able to meet her goals? Or nah dawg? 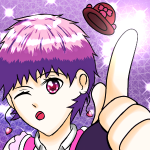 This comic is a crazy comedy with lots of action, whacky characters and bizarre scenarios. Oh, and ADVENTUREEEEEE WEEEEEEEEE YEEEEEEEE AWEZUMMMMMM. S-flag for sexual themed jokes. I bet you are like "WHO EVEN ARE THESE PEOPLE THAT ARE ONEPUNCH'S DISCIPLES"